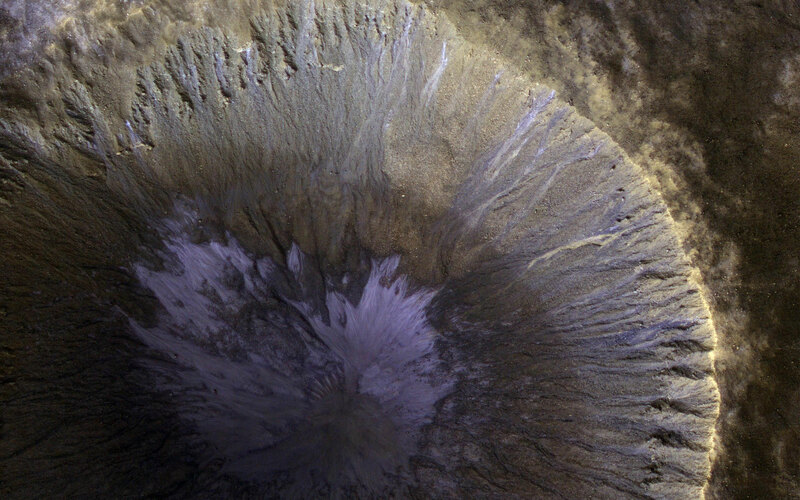 This newly released Mars Reconnaissance Orbiter image shows the location with the most impressive known gully activity in Mars’ northern hemisphere. Gullies are active in the winter due to carbon dioxide frost, but northern winters are shorter and warmer than southern winters, so there is less frost and less gully activity. The map is projected here at a scale of 50 centimeters (19.7 inches) per pixel. The original image scale is 61.5 centimeters (24.2 inches) per pixel (with 2 x 2 binning); objects on the order of 185 centimeters (72.8 inches) across are resolved. North is up. 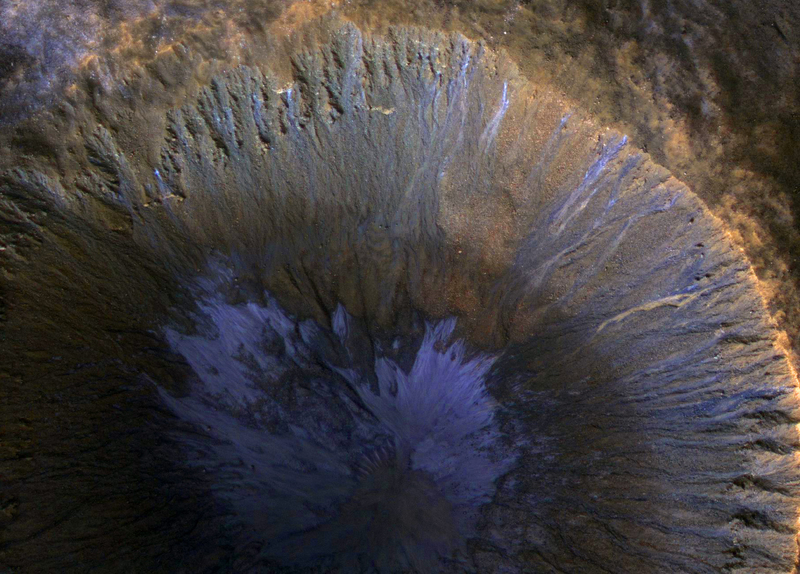 Be the first to comment on "NASA’s Mars Reconnaissance Orbiter Captures a Winter’s View of a Gullied Crater"